Filters are an extra dimension that you can add to a table. 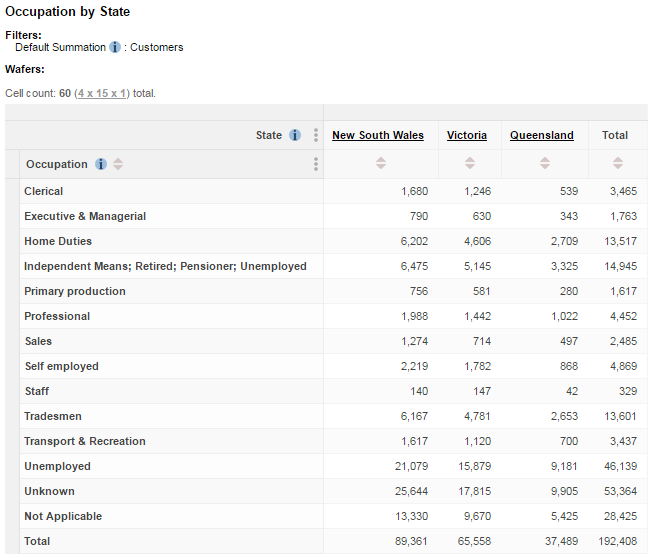 When you apply filters to a table then only records that match the filters will be included in the results. 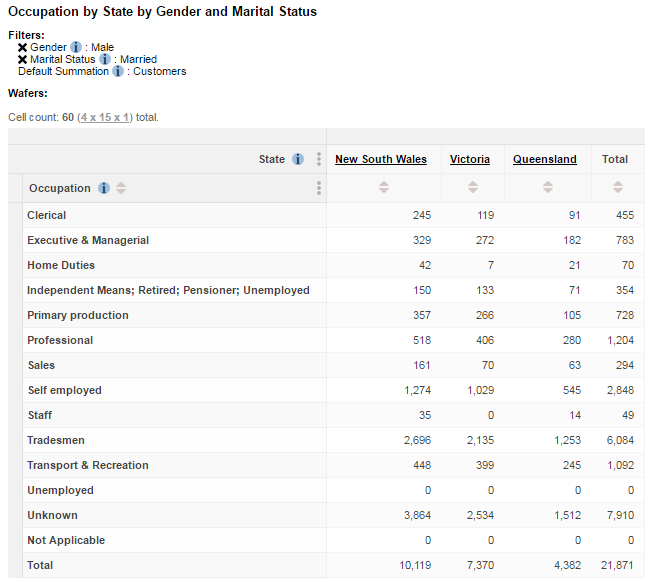 As shown here, you can add multiple filters to a table, and only records matching all of the filters will be included in the table. 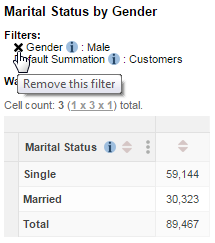 However, you can only add one field item from any given field (for example you cannot add Gender - Male and Gender - Female at the same time). 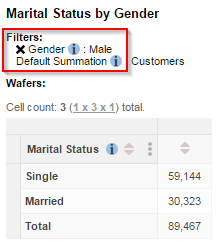 If you add a summation option to any dimension then the default summation will disappear and no longer be used. 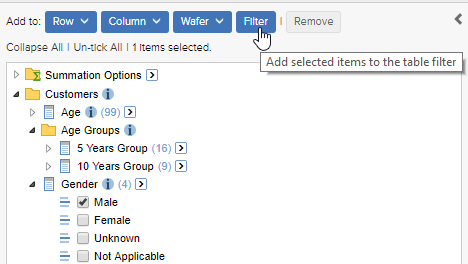 Select a single field item from the tree and click Add to Filter. 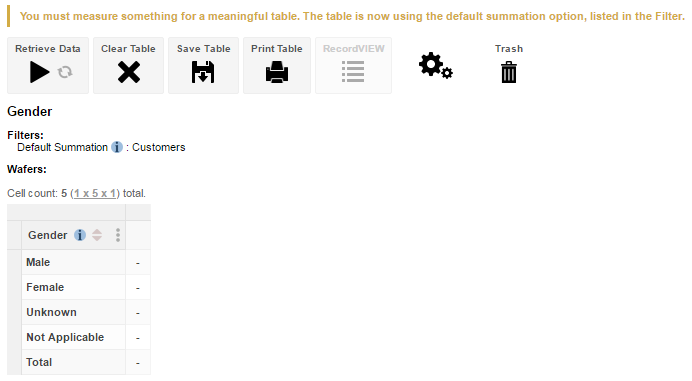 SuperWEB2 adds the filter to the list above the table. You can now add additional field items to the filter if necessary. You can only add one field item from any given field.